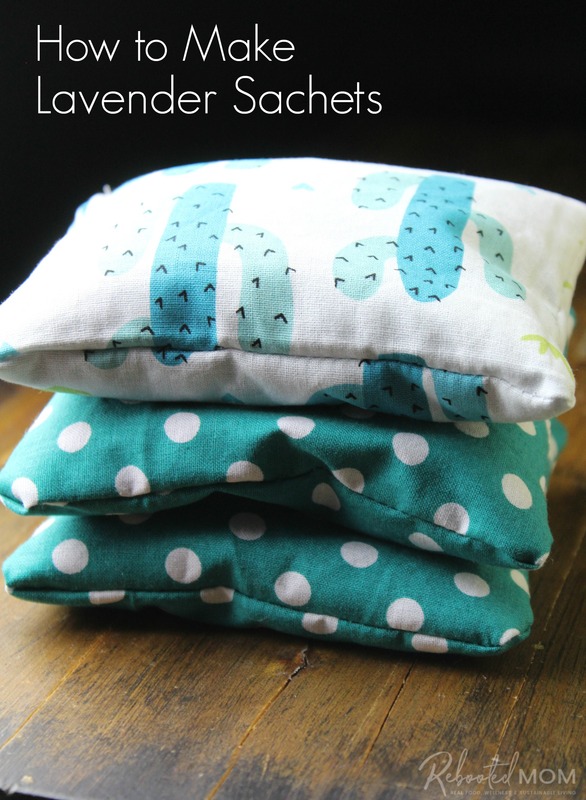 Learn how to sew and fill these lavender sachets with this easy tutorial. 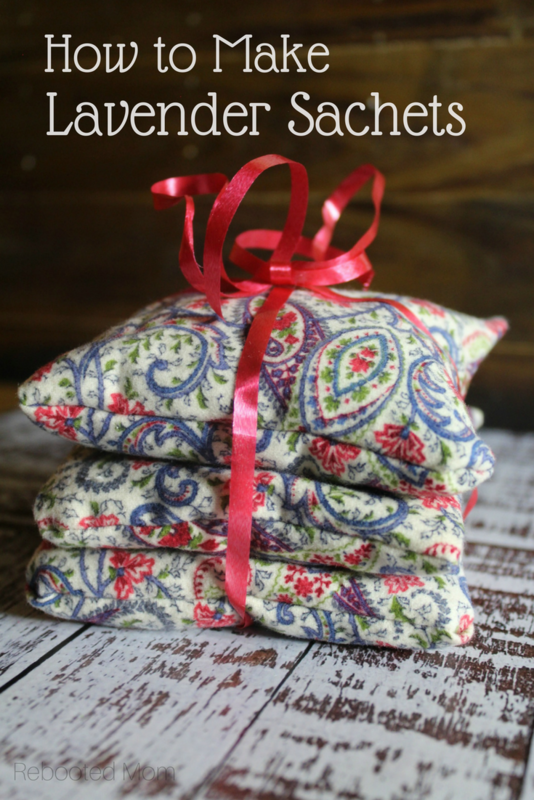 Make your own sachets to gift using simple scrap fabric and dried lavender. Are you drowning in fabric scraps? I love to sew and have an obsession with fabric. Drawers and drawers full of fabric scraps. I can’t bring myself to throw them away, so I’m always looking for ways to use them – and transform them into gifts. I have been using my child-themed fabric for fabric blocks .. tucking rattles in some of them and giving as gifts to those who are having babies. Paired with a minky blanket, it’s a wonderful way to use up 1/4 – 1/2 yard scraps that you wouldn’t normally have a use for otherwise. These sachets are so easy to make, require little effort and smell incredible. 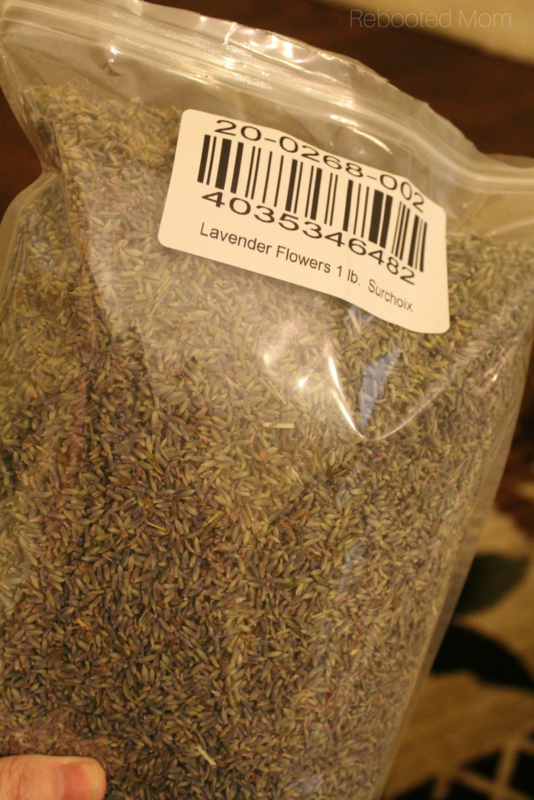 Pick up a bag of dry lavender from Bulk Apothecary – you can also find on Amazon or your favorite co-op. Chances are, if you dry your own lavender you have made sachets yourself to gift to friends or family. A large bag of dried lavender can go such a long way – making them very cost effective. Provided you can sew a straight line you can accomplish these sachets – no expert skills are required! We are using the same 5 inch template for these fabric sachets that we used for our fabric rattle baby blocks. 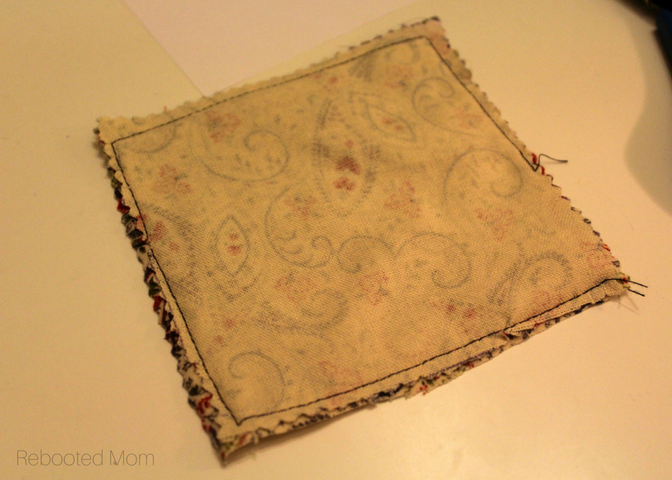 I always have lots of fabric scraps – but if you don’t, fabric quarters work well, too. Joann fabrics will occasionally have them on sale for $.79 — but if you can’t wait for a sale, Walmart has a decent selection of fabric quarters for $.99 every day. Iron your fabric and spread it out on a large, flat surface area. Use your rotary board & cutter to cut the fabric into 5″ squares. Or download the 5″ square template here and trace 5″ squares – each sachet requires (2) 5″ pieces of fabric. 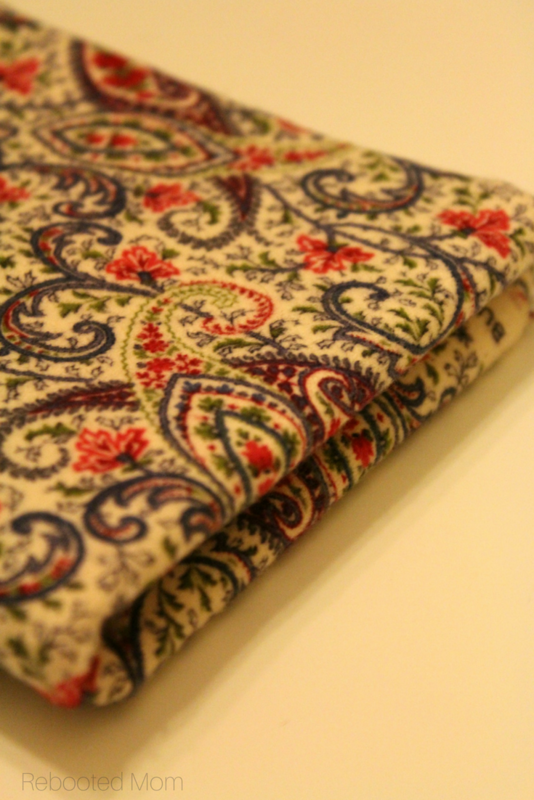 Any fabric will work – I lean towards a flannel, but you can use a higher weave home fabric, too! Place the squares together, with the right fabric facing each other. Wrong side should be on the outside. Line up the seams and sew around the square with a 1/4 inch seam, leaving 2-3″ as an opening to turn right-side out. I like to double stitch around the opening. Turn right side out with a pencil, making certain to get all of the corners. Stuff your sachet with 1/2 C. or more dry lavender, making sure not to over-stuff. I made a funnel with a piece of paper and spooned lavender into the funnel to get it into the sachet. 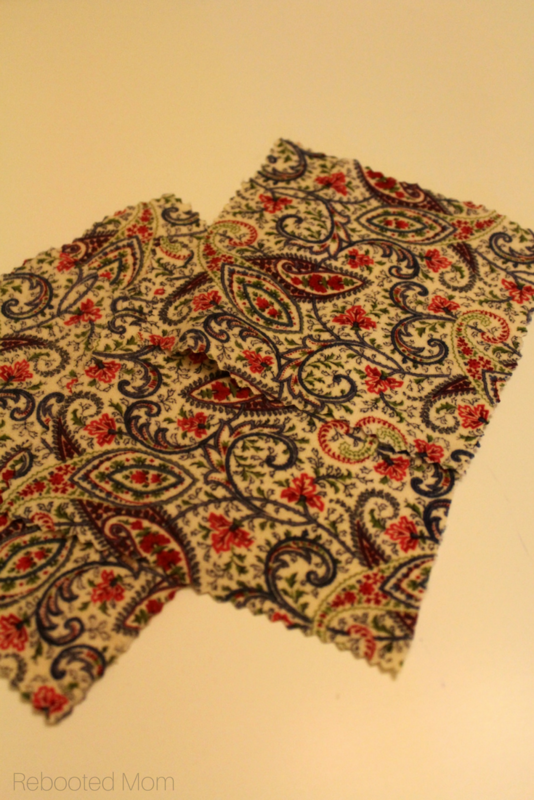 Fold in the seam along the opening, and sew with 1/8 – 1/4″ seam allowance, or opt to hand stitch. Provided you use a like-colored thread, the closing stitch should not be all too noticeable. Pair 2-3 sachets together and tie with pretty ribbon to gift. These sachets are wonderful for clothing drawers or used in a linen closet. The smell will last for quite a long time – I have had mine in the drawer for over 6 months and they still smell as fragrant as they did when I first made them. If you are looking for some more homemade gift ideas, you might want to check out this round up of over 20 homemade DIY gifts you can make and give to family and friends. 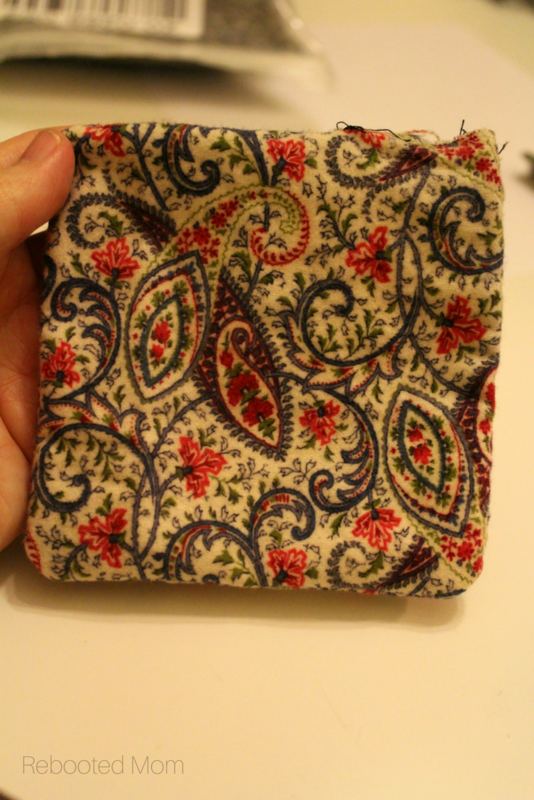 Share the post "Easy Sew Lavender Sachets"